I can finally make use of that nine-way Best Friends Forever heart I bought at Six Flags. 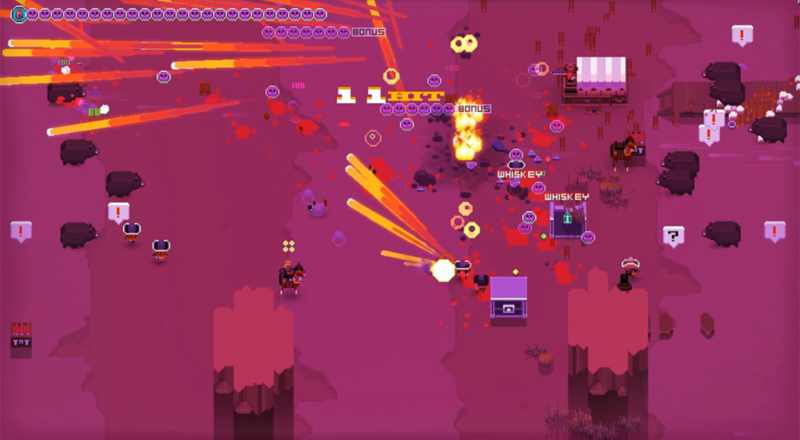 Of all the settings (both real and fictional) to justify the use of the terms "Bullet Hell" and "Shoot Em Up", I'd say the Wild West ranks pretty high. Though A Fistful of Gun doesn't seem to map directly onto either of those genres, its combination of the two makes me wonder if there's even another contender for "Most Viable Setting". Of course, these types of games have begun flooding the market as of late, so what makes AFoG so enticing? You probably caught it in the trailer, but AFoG brings another unique twist to the table. Each of the eleven characters have their very own control scheme to master, presumably to allow nine sweaty gamers to crowd around a single PC in local co-op. If you'd prefer to keep foreign bodily fluids to a minimum, though, the game also offers an online alternative. Food for thought, gang. Food for thought. Page created in 0.9513 seconds.